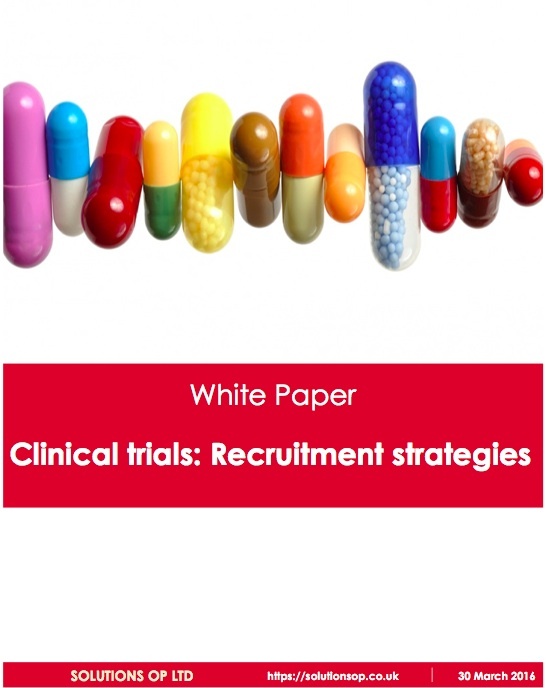 This white paper is dedicated to one of the clinical research communities’ hot topics – recruitment. We will discuss different recruitment strategies and their advantages and disadvantages from practical point of view and also we hope to give some new ideas for improving recruitment. Maybe the most frequently asked question in clinical trials is “How do we improve recruitment?“. And this question is coming not just from sponsors but from hospital teams as well. While slow recruitment or lack of recruitment is a serious issue for sponsors who are trying to meet deadlines and collect significant safety information for new products, this is also a major issue for hospitals, which struggle to recruit and waste significant time and resources in attempt to find more participants. Slow recruitment or lack of recruitment does not only increase the financial costs for clinical trials teams in hospitals by increasing the workload and reducing the available resource, but also could damage the team reputation, which will put them in a disadvantage position during future feasibilities. But more importantly this will limit the access of their patients to new therapies.